Having recently experienced the insight that Laura Truffaut could lend to the films of her father François Truffaut when she introduced Les Quatre cents coups (The 400 Blows) as part of the Jean-Pierre Leaud retrospective mounted by the Pacific Film Archive, I was keen to catching her presentation at The Film Desk reissue of L'Enfant sauvage (The Wild Child), currently screening at Landmark's Opera Plaza Cinemas. As Steve Indig has synopsized for Landmark Theatres: "The year is 1798, and farmers in the south of France, on the hunt for a predator, instead find a naked young boy, presumably grown up in the wild without human contact. As the latest sensation, he's paraded before fee-paying gawkers at the institute for the deaf and dumb, while Dr. Itard (played by director Truffaut himself) debates with a colleague: is the boy a purely natural human, a tabula rasa, or simply an idiot? Itard takes the boy into his own home in an attempt to educate and civilize him. 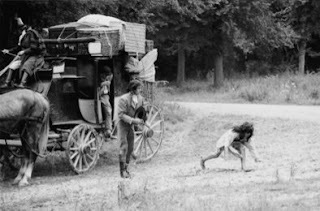 "Based on an actual case, and with its voiceover narration (an adaptation of Itard's two reports into diary form), this is Truffaut's nearest approach to documentary, with Néstor Almendros' striking b&w photography evoking the earliest days of the cinema, and a much-imitated all-Vivaldi score. 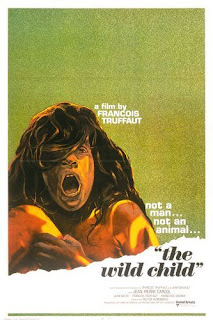 As l'enfant sauvage, Jean-Pierre Cargol, a French Roma boy picked from over 2,500 hopefuls, is alternately ferocious and docile, while as Dr. Itard, Truffaut is superb. (Alfred Hitchcock wrote Truffaut asking for 'the autograph of the actor who plays the doctor, he is so wonderful,' while Steven Spielberg was so impressed by the director's compassionate performance that he cast Truffaut in Close Encounters of the Third Kind.) Cast partly because he realized he'd be directing the boy within the film, Truffaut imposed on himself a 'no smiling' rule—he lapses briefly once—to attain a kind of gravity, but then this only reinforces his ruthlessly unsentimental treatment of potentially treacly material, even as the inevitable question ('Was it worth it?') arises." Introducing the film at its first screening, Laura Truffaut stated that in 1969—10 years after her father filmed Les Quatre cents coups (The 400 Blows)—François Truffaut filmed L'Enfant sauvage (The Wild Child). Because the main character of the movie was a child, Truffaut decided to film the movie during the Summer school break, which—of course—meant that Laura Truffaut was also on school break. 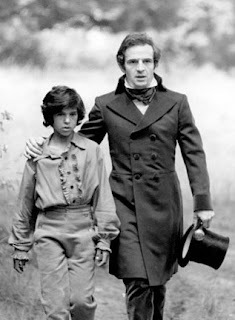 One year younger than Jean-Pierre Cargol, who played Victor the Wild Child, Laura was allowed to spend part of her summer on set, along with all the other various children of cast and crew members. It was a family-oriented shoot. Laura was one of the oldest children, which entitled her to certain privileges. It was a wonderful, peaceful experience for her. Laura referenced two key collaborators who she feels contributed enormously to her father's project. The first, Jean Gruault, was a screenwriter who had worked with her father previously on Jules and Jim and went on to work with him on a couple of his period films. Gruault's task was tricky. They wanted to keep the film close to the reports written by Dr. Jean Marc Gaspard Itard, the physician who worked with Victor of Aveyron. Gruault summarized much of the original material, including scientific treatises, and philosophy books of the Enlightenment that had to do with issues of nature, culture, and the development of language, endeavoring to shape this academic information into a compelling narrative. 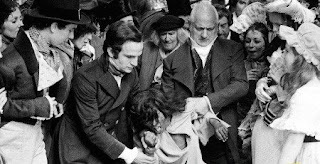 The story—set during the French Revolution at the end of the 18th century—also marked the beginning of modern psychiatry. In fact, the character of Dr. Philippe Pinel (Jean Dasté)—Dr. Itard's colleague at the Institute for the Deaf and Dumb—was considered one of the founding fathers of psychiatry. Another brilliant contributor to the film was Spanish cinematographer Néstor Almendros, who had previously worked with Eric Rohmer. Truffaut was impressed with his work, especially his b&w cinematography. L'Enfant sauvage was their first collaboration. I was curious how Truffaut discovered Jean-Pierre Cargol and how he worked with him to achieve such a noteworthy performance in this film? Laura responded that Truffaut's assistant Suzanne Schiffman found Cargol. She did something which could probably not be done anymore. She traveled all over France and looked at children as they were coming out of their schools. Today that would be considered stalking but at that time it was necessary because there were not that many French child actors. They also advertised in local papers and Laura Truffaut recalled that Cargol was one of three boys considered for the role out of an original pool of 2,500. She remembered her father showing her photos of the three boys under consideration; but, Cargol clearly "had" something more. She remembered him as quiet. Cargol's younger brother was also on set and he was agitated and devilish, all over the place, and funny; but, Jean-Pierre was low key, attentive, quiet, and clearly gifted. As for whether she played with Cargol much on set, Laura qualified that several scenes—such as the ones in the forest—were filmed with a skeleton crew. The scenes were physically challenging for Cargol as he had to run around naked. Only a few people were allowed to be present for the filming of those scenes and certainly not she. Since Cargol was just about in every scene, he was always working, so she didn't have much opportunity to interact with him socially. Inbetween scenes, even if he came around, he was reserved. "He was among us," she said, "but not fully." She has photographs of all of them playing so she knows they did; but, not a whole lot. Asked what became of Cargol, Laura believes he became a musician. He was from a gypsy family brought up in the south of France and his uncle was a well-known classical guitar player. She believes he became a classical guitar player like his uncle. As for the Wild Boy of Aveyron, Dr. Itard lost interest in him after a few years. Unfortunately, in reality the story is a bit less lovely than depicted in the film. Although the movie doesn't romanticize what it shows, as time went on Dr. Itard became frustrated that the child never learned to speak and went on to conduct research with other children. His governess Mme. 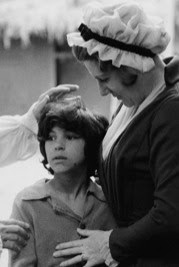 Guérin (portrayed by Françoise Seigner in the film) continued to take care of Victor who learned to work as he grew up and became employed, living until about the age of 40. 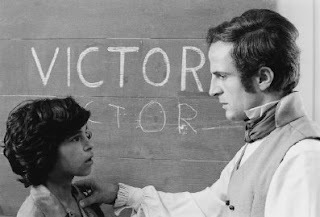 As for why Truffaut had taken an interest in the story of Victor of Aveyron, Laura detailed that her father was deeply concerned with the cause of children, especially neglected children and their rights, a cause which mattered a lot to him even though he was not necessarily a political creature and was more focused on his films. But the plight of unwanted children was dear to his heart. Two elements are involved. The first would be autobiographical since Truffaut was himself fairly neglected as a child—not to the extreme of what happened to Victor of Aveyron—but enough to feel empathy. 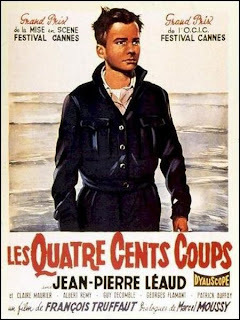 His first film Les Quatre cents coups is widely acknowledged as autobiographical and dealt with parental indifference. Truffaut believed that being indifferent towards a child was just as bad as physical abuse. He was also interested in the relationship between the doctor and the child, which was not so much about love as it was about care. 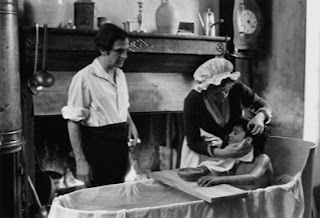 Truffaut was interested in how adults invest themselves in the care of a child; something which was personally important to him and undoubtedly accounted for his wanting to play the role of Dr. Itard. More generally, there was a book that came out in the mid-sixties in France called Wild Children, which covered several other cases of feral children, but especially the story of Victor of Aveyron. The book included the actual reports of Dr. Itard and Laura said—as soon as her father read this—he knew he wanted to make a film about it. He had also been interested in the story of Helen Keller, first the play and then the movie The Miracle Worker, whose themes he found compelling. Another aspect that meant a lot to Truffaut and which was referenced early in the movie was that everything a child does, he does for the first time. Her father conceived this in filmic language: films show you things for the first time or for the first time in a certain way. It is clear to Laura Truffaut why her father dedicated the film to Jean-Pierre Leaud. Leaud was the original wild child in his life and career. The relationship between Leaud and her father was admittedly special and meaningful. They worked together again and again. Further, her father felt that he told more about himself in his films which were not blatantly autobiographical, films based on other sources, either adaptations of novels or—in this case—history. In that sense, he saw a connection between this story and Jean-Pierre Leaud. Truffaut's oeuvre can basically be categorized into two groups—the earlier autobiographical films with which he is most associated, such as the Antoine Doinel cycle, and later historical or period-piece films like L'Enfant sauvage and The Story of Adele H.—but, he did not prefer one style over the other; he preferred to alternate between them. Laura Truffaut stressed that her father was unique in that he only made movies he loved. His movies did not cost a whole lot of money for the most part so he was able to do moreorless what he wanted. He never had to make a movie for hire. But that also meant he had to balance his work. He couldn't make too many adaptations of historical novels because, naturally, they were more expensive. Making L'Enfant sauvage was odd because, at first, he couldn't secure financing, primarily because the film was in black and white and featured no name stars. The only way United Artists agreed to produce and distribute the film was if it was sold and packaged with the film her father had just made: La Sirène du Mississippi (Mississippi Mermaid), which was an adaptation of an American novel Waltz Into Darkness by William Irish (Cornell Woolrich). Mississippi Mermaid starred Catherine Deneuve and Jean-Paul Belmondo, the biggest French stars of the time, so United Artists agreed to L'Enfant sauvage on the condition that they could have and distribute Truffaut's more colorful, expensive movie. Ironically enough—though perhaps not so surprisingly—Mississippi Mermaid was a big flop and L'Enfant sauvage did very well, especially on American college campuses, making up for the financial losses of Mississippi Mermaid. But all her father's films were personal. He wanted to make them that way. As time went on, even with the historical pieces, he went more towards original screenplays. Adele H., for example, was an original screenplay. He became more interested in initiating material and movies that had one ascending line. Even if they did not have a lot of hope or moved in many directions, he tried to sustain the public's attention with one idea. Adele H. is an example of that. This approach didn't always succeed and he wasn't always happy with the result; but, it was the discipline he adopted. 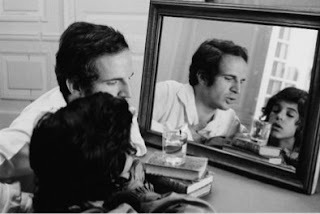 In his write-up of L'Enfant sauvage for The East Bay Express, Kelly Vance underscores Truffaut's evident intention "to pay tribute to the early days of film as well as to the glories of the French Enlightenment. Cinematographer Néstor Almendros' gorgeous black-and-white images are composed in a montage D.W. Griffith would have recognized, and just to be sure we get the point, Truffaut ends more than one scene with an iris fade—in which the image fades down to a small circle, usually highlighting a significant object." Though aware that Laura Truffaut was a child during the making of the film, I was curious if she recalled any discussions Truffaut had with Almendros regarding the visual design of the film? Laura confirmed Vance's observation that her father and Almendros wanted to pay tribute to Griffith as well as to honor silent film conventions. She doesn't know where—perhaps a flea market?—but Almendros found an old-fashioned iris and figured out how to make it work. He knew he didn't want a slick modern one. Also in his article for the East Bay Express, Vance suggested that Truffaut's working relationship with Jean-Pierre Cargol was an instance where "art imitates life" in the sense that "we get the impression Truffaut spelled out each and every gesture in the same sort of detail that Itard imposed on Victor." Laura Truffaut confirmed that her father's directorical style was indeed precise and that he probably showed Jean-Pierre exactly how he wanted him to perform, but this was mixed with Cargol's improvisations inspired by genuine talent. She recalls that her father showed Cargol some movies before they started filming—Chaplin perhaps?—to provide Cargol hints of what he was after. But, generally speaking, there was not a lot of improvisation in her father's movies. Though dialogue was written progressively and not as the film started, he nonetheless had a clear screenplay and knew exactly where he wanted the film to go. This is very big topic but it's nice. I am happy to read this topic. Thanks for sharing.